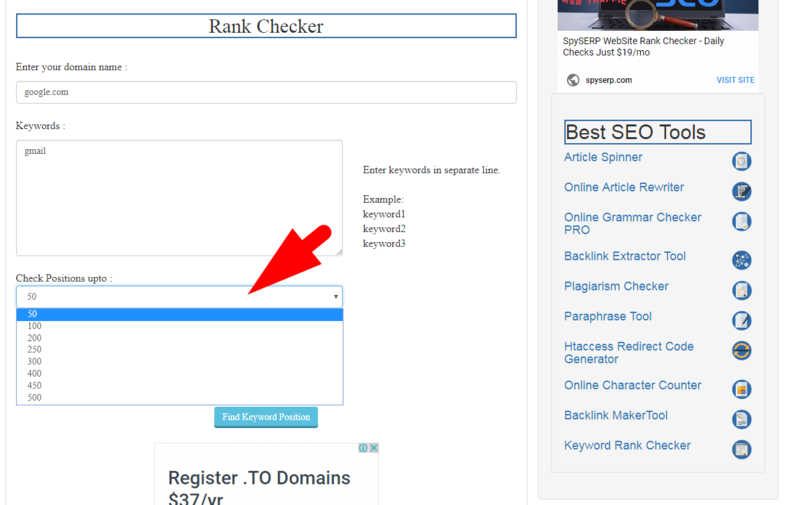 Welcome to the SEOMagnifier's Keyword rank checker tool which helps you to find keyword position in google. Keywords are the main points that a webmaster needs to follow while writing an article. Keywords are the life of an article. You can say that if you have good Keyword and have the potency to write well on that one then no one can stop you to index it properly into the search engines. Actually, keywords are the important points on which an article is written and you can also say that keyword is the combination of words that people use to search their required thing on the internet. If you use the keyword in the same in suggested position by search engines like Google then it means that it is going to rank and people can find that at the higher position in Google. So, be careful while using a keyword in your contents and make their position according to Google policies. 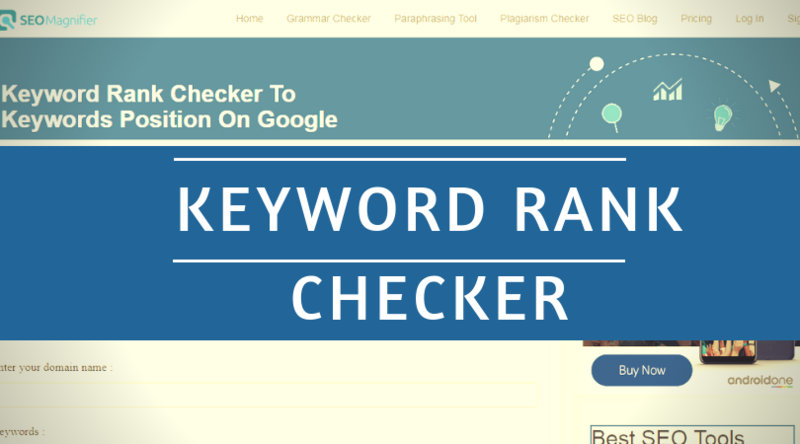 What is keyword rank checker tool? Google Keyword position checker tool is the of the advanced SEO tool that is introduced by the SEO MAGNIFIER which is the best ever SEO tool station for the webmaster. 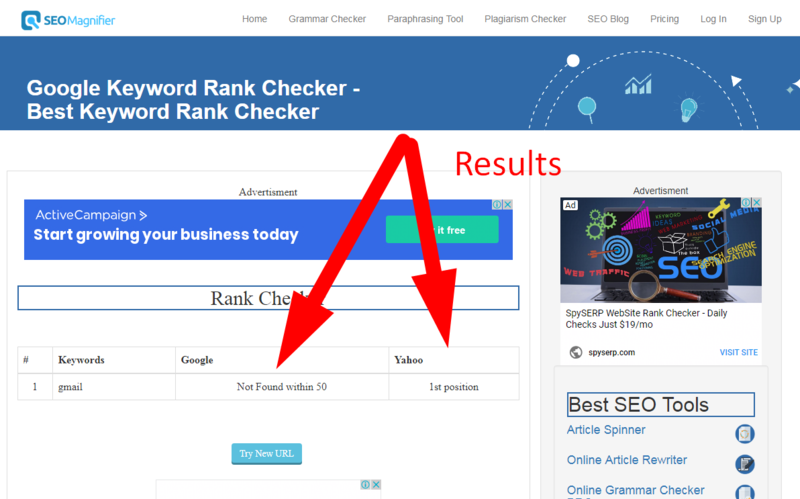 This Keyword Rank checker tool will tell you about the rank of your keyword in the Google and help you to take a decision whether you need to use that keyword or not. If you are connecting with the online Earning field, therefore, it is too necessary for you to stay active and in touch with the new SEO techniques and policies announced by the search engines. This tool will let you know about your current position in search engines and also tells your website ranking. Why use Google keyword position tracker? As I said that SEO policies and techniques are changes by the search engines on a regular basis which also have the effect on the position of the keywords in search engines like Google, Yahoo, and Bing etc. This Keyword Position Tracker tool will help you to let you know all the information about your selected keyword. It will give you the ranking of your current keyword in all search engines. How does the best online keyword rank checker tool work? 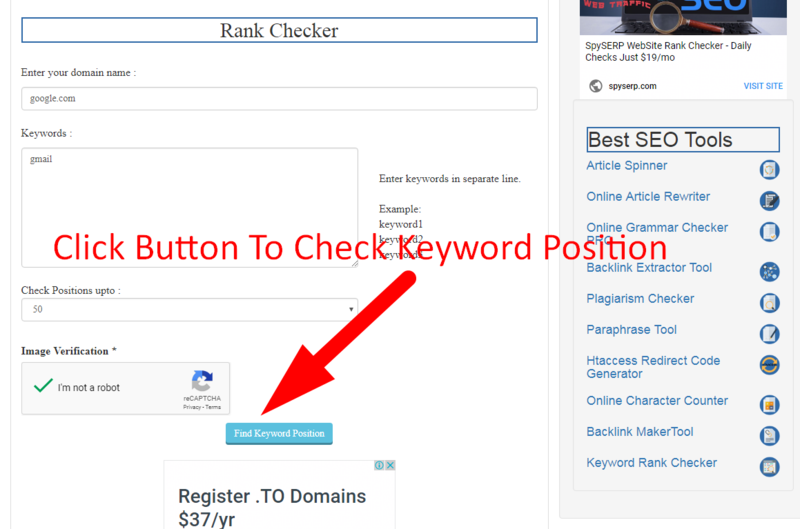 Keyword position checker tool is the best tool introduced by the SEO MAGNIFIER which works simply. 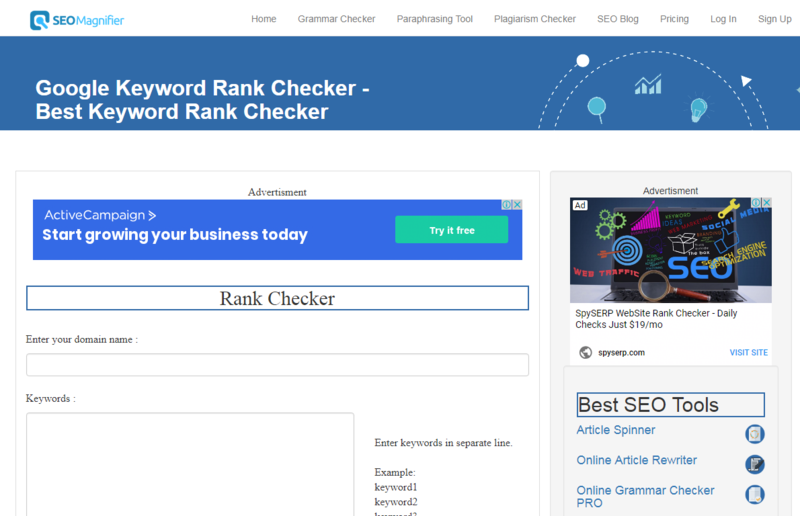 You can use this tool to check the keyword rank of your website. It scans your website for all the search engines and tells you position in them. If your keyword is between the first three positions then it will be super good for you but it is even good if you have your keyword position on the first page of the search engines. But if you do not have your keyword even on the first page then need to take some important steps to increase your rank. How to use SEOMagnifier's Keyword Rank Tracker? It is very easy to use keyword position tracker tool. Following are stepped through which you can use this tool. First of all go to the Google Keyword Rank Checker. In the first box, you have to write the Domain/URL of your website. Then in the second box write your selected keyword from your website. At the last choose the number of positions you want to target in the Search engines. Hit the "Find Keyword Position" button. Then press on submit and it will give you the instant and reliable result. 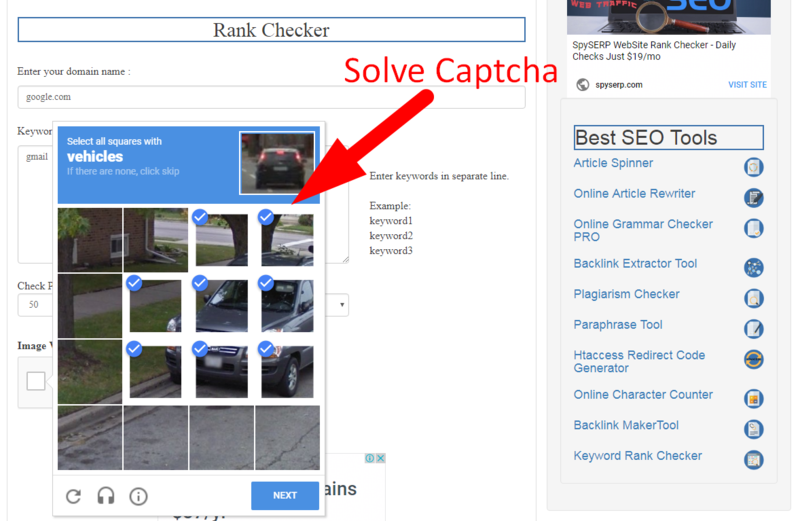 You can believe 100% on the result given by this keyword position checker offered by the seo magnifier.